Getting a child to learn grammar is an important lesson, we need grammar to speak to one another and to write letters. If we don’t know how words should be put into a sentence then we won’t be able to do any of those things. I’m glad I got a chance to review Brookdale House and their Grammar Workbook Set. 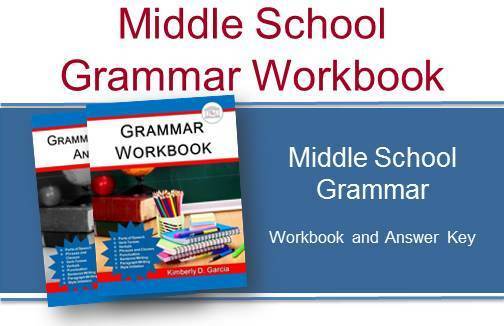 We received two downloadable files, the Student Grammar Workbook and the Grammar Workbook Answer Key. From the book’s schedule it had the optimal schedule as doing something pretty much everyday, but I figured that would be too much considering his other subjects. So we cut it back to three times a week. This way he wouldn’t forget what he’d learned and then he could work on other things as well. This workbook also has sentence writing and paragraph writing which Cameron really needed. He can get his thought down on paper but it doesn’t make sense to anyone else but him. It was made for independent use, so you could just print out the pages you want them to do and let them have at it. But some might need more instructions and help. So in comes our Answer Key workbook, so we can make sure we are telling them the right answer if they happen to get it wrong and can’t figure it out with some prompting. The answer key workbook has the 5 lessons answer key to go along with the workbook that I talked about and then 86 exercises to correspond with the grammar workbook. This should also be able to be downloaded to your tablet and then opened into GoodNotes so you don’t have to print them out, just open it on there and then let them fill in the answers right onto the app. I like downloadable workbooks, that way I can just print and go, I don’t have to worry about him being on the computer all day. When he is, he is easily distracted but I think that’s most kids maybe a lot more when they have ADHD and everything catches their eye, from a fly to the little particles of dust floating around. I liked how it explained what, for example, a sentence is, then showed them an example, and then had the exercises to go along with it. In each mini lesson I call it, there are 2 exercises each which was nice, he didn’t get a chance to complain that it was too long, because once he got started it was like he was done already. I also liked how, at the end of the exercises it would give them a sentence or paragraph to copy, then tell them to fix it, and then it would tell them to create their own version. Please, if you have any questions feel free to ask!